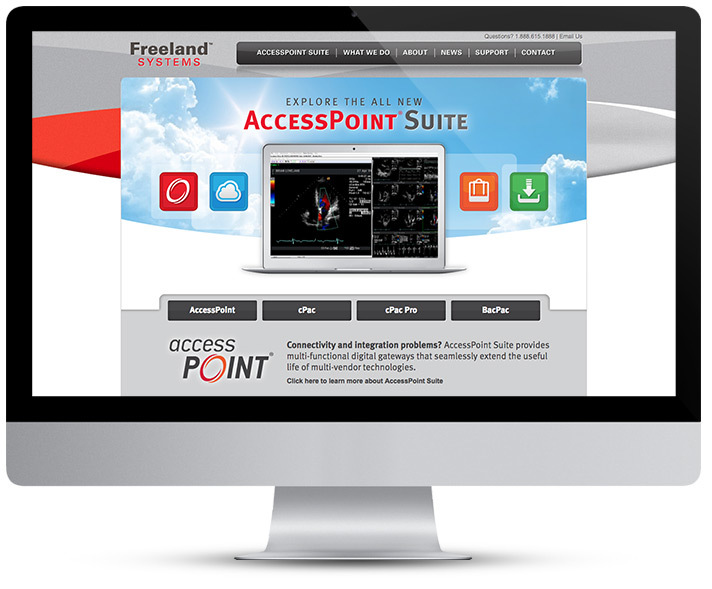 Freeland Systems is a cloud-based PACS provider that helps physicians manage their medical imaging and reporting needs. 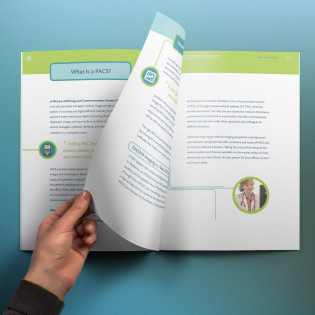 Bridge Creative developed The Complete Guide to AccessPoint to help Freeland Systems connect with and share information about their flagship product, AccessPoint. The informational guide is assists prospects in the evaluation process. 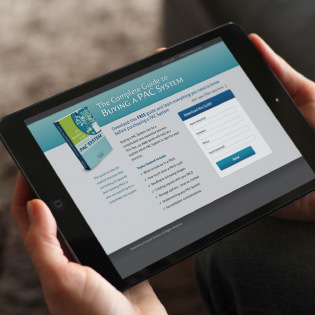 The guide has been downloaded hundreds of time and acts as a vital sales tool. Bridge Creative designed, developed, and produced the Freeland Systems website. The site combines HTML, CSS, and WordPress into a tool that communicates and promotes information about Freeland Systems. As the hub of Freeland Systems’ online marketing, the website is a resource that directs the content marketing, inbound marketing, and lead generation activity. 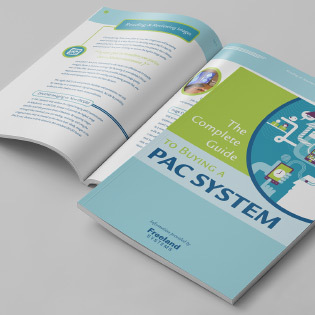 The Complete Guide to Buying a PAC System is a premium inbound marketing offer developed by Bridge Creative. 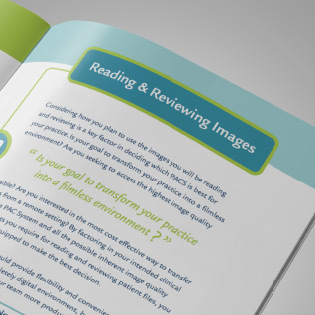 The content offer is 40+ pages and acts as the primary lead-magnet for Freeland Systems. 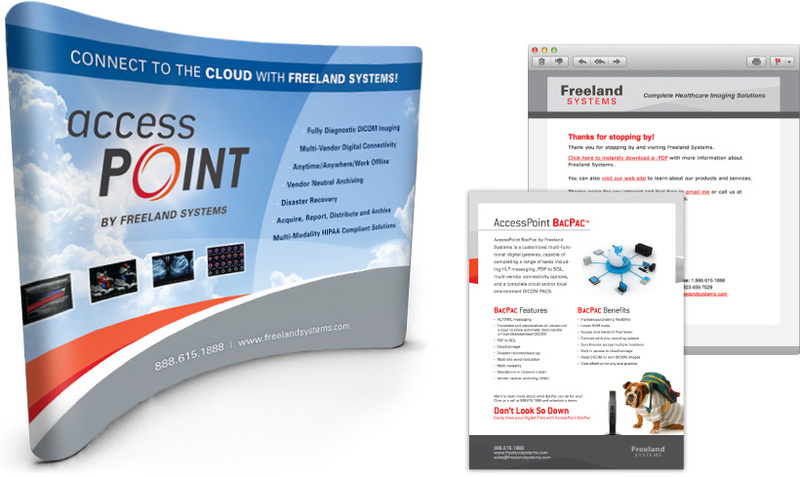 Since it’s launch, the guide has created over 600 prospects for Freeland Systems and continues to grow their leads each month. Bridge Creative works with the Freeland Systems team to develop and produce marketing materials for their trade show events. These deliverables include backdrop design, on-screen and video loops, marketing collateral, and follow-up email campaigns.